Mother! A vast, revered, honored word; full of love, feelings, emotions and care that cannot be expressed in words. 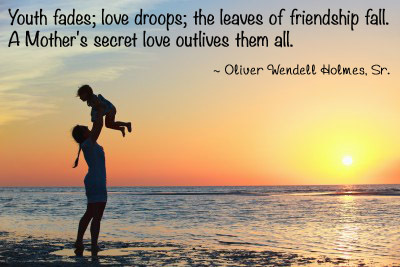 Mother is not only a parent for her children but a friend, helper, guider and a well-wisher. She is the one who brings us up, gives courage to face the world, confidence to achieve, teaches perseverance, moral ethics and to stand along. When people talk about a pure love, without any condition they give example of their mother’s love, the most trusted relation of the world. Even Almighty has given mother’s love that level which does not have any other relation. She is the one whose love is without any gain of profit and loss. She has that much kind heart that she forgives every time to her strayed child. I do remember when my mama takes our side in front of our dad, hides our mistakes, consoles and expects that we’d never do this again. Mother’s love is without any feel of jealousy and she is always there for every kind of help. It is said that “Mother is the first school for her child." She loves her every child the same, without any discrimination factor. She is the one with whom you can share everything without any hesitation of passed on. Good mother is a role model for her children. Mother’s prayers bring peace, prosperity and a piece of heaven in your hearts, her pure heart is a priceless jewel. Abraham Lincoln says; that man is not a poor man who has a godly mother with him. Karl Lagerfeld said that his mother’s love is the only love he can believe in. Mother is the name from where you begin; she remains with you in her life and even after her life, her prayers surround you everywhere. Jodi Picoult says mother’s arms are the best place to cry in. Those people who don’t have their mothers with them consider them meager person of the world, and pity for those who don’t care and value their mothers. Heaven is under her feet. Value your mothers because it takes courage to raise children. I’m recommended this blog by way of this relation. I have no idea if it offered is actually created via your pet since no one else have an understanding of this kind of correct pertaining to the difficulties. You will be excellent! Thanks a lot! 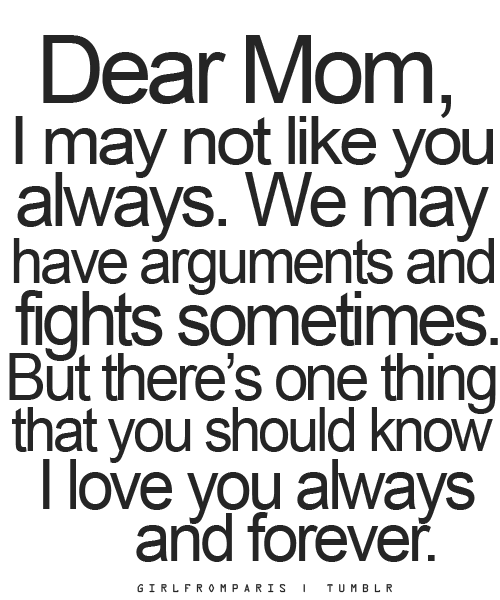 iloveyou so much mom!!!!!! u r not only my mom but also a friend, helper, guider and well-wisher!!!! 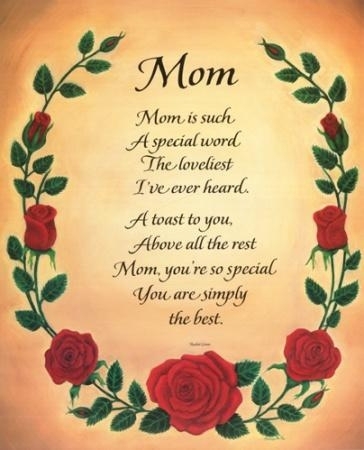 mom u r real hero of my life..